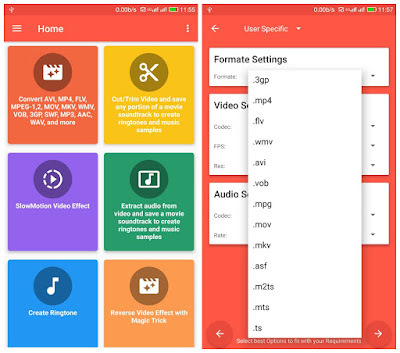 Video Converter Pro is a real video converter, which supports almost all video and audio formats; HD video, HTML5 video, WMV, MKV, AVI, MP4,MOV and more,also supports basic Editing like slowmotion,crop,rotation and more. Compressed Video Or Reduce Size Of video. Change Audio Frequency in 2x,3x speed up and slow down. Multiple Theme Option for Colorfull Experience. Multiple language support, including English, German, Japanese, Russian and Spanish and more. Video Converter has a number of basic editing settings. With these you can customize the video size and aspect ratio and extract audio and video from files. 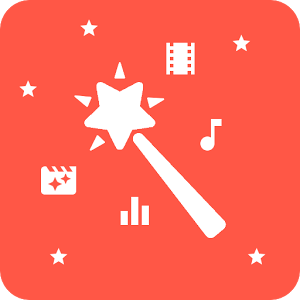 Overall, Video Converter's basic conversion function is quick and easy, but the suite does have less than stellar editing abilities.